Daniel Lopez argues that Georg Lukács made an indispensible contribution to a revolutionary Marxist understanding of revolution, consciousness, organisation and dialectics. This amounts to a philosophical defence of Lenin's theory and practice. Liz Ross shows that, in spite of brutal exploitation, women textile and garment workers from the industrial revolution in nineteenth century Britain to Bangladesh today have defied the stereotype of passive victims. 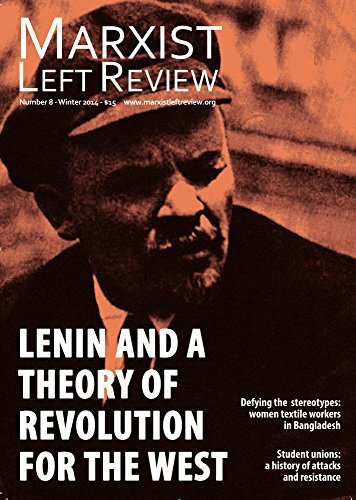 Sam King argues against what he sees as errors of interpretation of Lenin and analyses of imperialism by International Socialist tendency theorists and various others who have been at one time associated with that tradition.